For part 12 in our continuing series, click here. 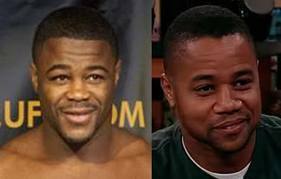 Today we look at who some of the more famous UFC fighters resemble. I’m not the first to notice these ones. 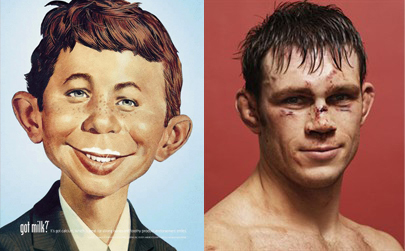 First up: Forrest Griffin and Alfred E. Neumann. But which is which?? 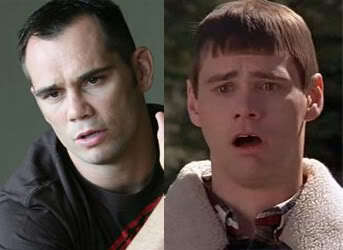 Next we have Rich Franklin and Jim Carrey. More precisely, Carrey’s Ace Ventura persona. In fact, this is how Franklin got his nickname, “Ace”. And yes, I know the Carrey pic below is not of Ace Ventura, but of whats-his-name in Dumb and Dumber.